In a landmark step to combat climate change, about 197 nations, including India, struck a legally-binding deal after intense negotiations to phase down climate-damaging hydrofluorocarbons that have global warming potential thousand times more than carbon dioxide. 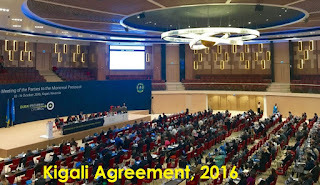 Negotiators and policymakers held meetings all through the night, intensely deliberating to iron out differences over the amendment to the Montreal Protocol to reach the Kigali Amendment to phase out hydrofluorocarbons (HFCs) - that are widely used in fridges, air conditioning and aerosol sprays. Hydrofluorocarbons (HFCs) are a family of gases that are largely used in refrigerants in home and car airconditioners. They, however, substantially worsen global warming. On 14th October 2016, India, China, the United States and Europe agreed on a timeline to reduce the use of HFC by 85% by 2045. Prime Minister Narendra Modi congratulate all countries for having come together on this critical issue, which will contribute to a greener Earth. 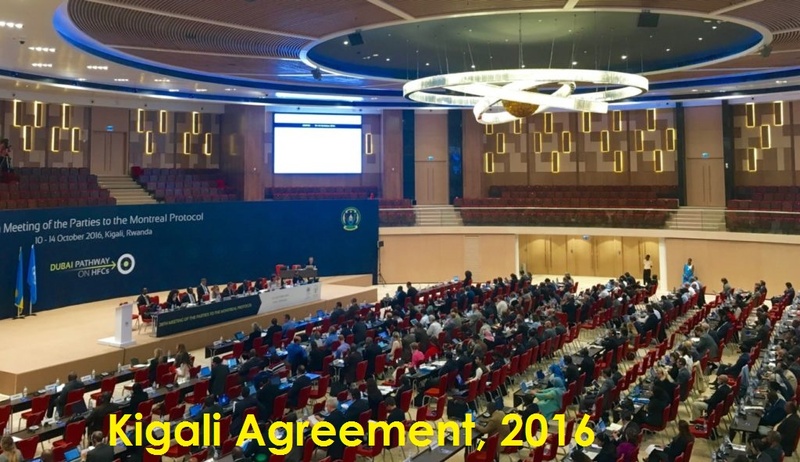 Kigali amendment to the Montreal Protocol on Substances that Deplete the Ozone Layer was signed today after five days of negotiations, and is expected to reduce HFC use by 85 per cent by the year 2045. India will reduce the use of HFCs by 85% over the 2024-26 baseline by 2047. The freeze year for India will be 2028.